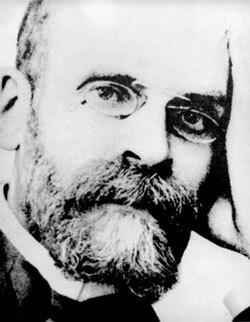 Durkheim was concerned with functional interrelations between systems of beliefs and thought and the underlying social structure. Whilst Comte was preoccupied with finding laws of social physics, (dynamic and static), Spencer thought he had individuated laws determining the organic kind of social forms, Durkheim tries to specify what the object of sociology is. However, according to Martin Jay (1984), like Comte, Durkheim was concerned with social reality sui generis. Indeed, both Comte and Durkheim were praised by Althusser for creating the 'groundwork for critique of the subjective origins of the social whole'. In What is a social fact? sociology is limited to the analysis of only those laws that govern and constrain the individual externally. The social is definitively extra-individual. According to Durkheim, system sociology is in a crisis. Sociology is NOT a philosophy of history that claims to discover general laws of progressive development for the whole humanity. Sociology is NOT a metaphysics claiming to determine the nature of society. Sociology is NOT scientia scientarum. Sociology IS the study of SOCIAL FACTS. Durkheimian thought was recently revived by the Annales School through their notion of histories of mentalities. 1951. Suicide: A Study in Sociology . The Elementary forms of the Religious Life. New York: Free Press. 'Introduction'; book 1, ch. 1 ('Definition of Religious Phenomena and of Religion'); book 2, ch. 7 ('Origins of the Idea of the Totemic Principle of Mana's'); 'Conclusion'. The Division of Labor in Society (Translated by George Simpson). New York:The Free Press. Types of Suicide - TS, pp. 213-18. Anomic Suicide - TS, pp. 916-29. On the Normality of Crime - TS, pp. 872-76. What is a social fact? - From: Emile Durkheim  The Rules of the Sociological Method (Ed. by Steven Lukes; trans. by W.D. Halls). New York: Free Press, pp. 50-9.